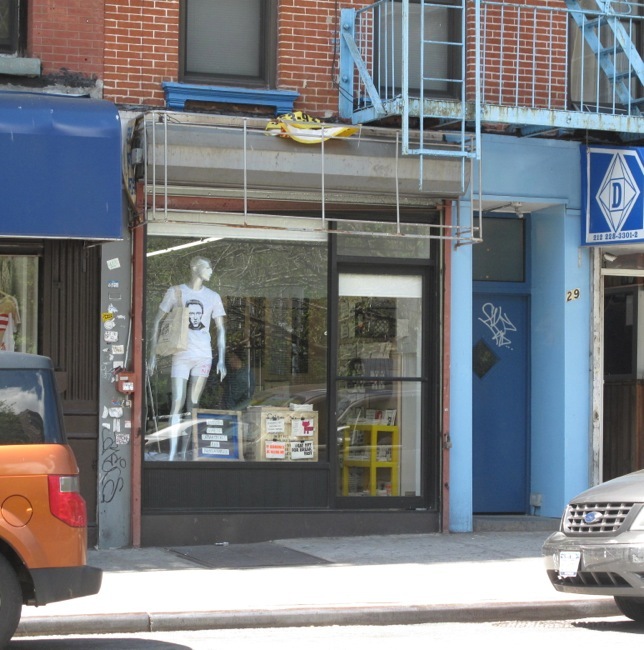 Moving into the premises at 29 Essex Street are Urban Cricket, creator of “fresh and funny” tee-shirts; and Pamela Barsky, maker of “crisp and funny” zipper bags. The two concerns have been selling their wares at a wide collection of marketplaces, including the Hester Street Fair and at an outdoor table in Union Square, but decided it was time to settle down to a regular store. Audrey Nasar and Gloria Erani of Urban Cricket, and Ms. Barsky had decided they did not want to be in Brooklyn and were happy to find a storefront in the Village which was not only well-located, but affordable. There is no signage yet up on their shop, but they say they are going to use the name “29 Essex” and then “Home of Urban Cricket and Pamela Barsky. So far they are saying they are thrilled to be in a location south of Delancy.